“We are not a propaganda tool but simply a football club”, says Akhsar Sanakoev, the transfer director of Spartaki Tskhinvali, who himself is from the nominal capital of South Ossetia, as we sit in the plush VVIP section (the extra V added for emphasis) of the newly renovated Mikheil Meskhi Stadium in Tbilisi, the “temporary” home ground of Spartaki Tskhinvali. The club represents the Georgian breakaway republic of South Ossetia in the Umaglesi Liga (Georgia’s Premier League) and is a constant reminder for Georgian football fans of the frozen conflict involving Georgia, South Ossetia and Russia. The original Spartaki Tskhinvali were founded in 1936, and during the time of the Soviet Union were a mainstay in the regional Georgian League, which was the fourth division in the Soviet league table. The club’s biggest success came in 1987 when they won the regional Georgian Cup. 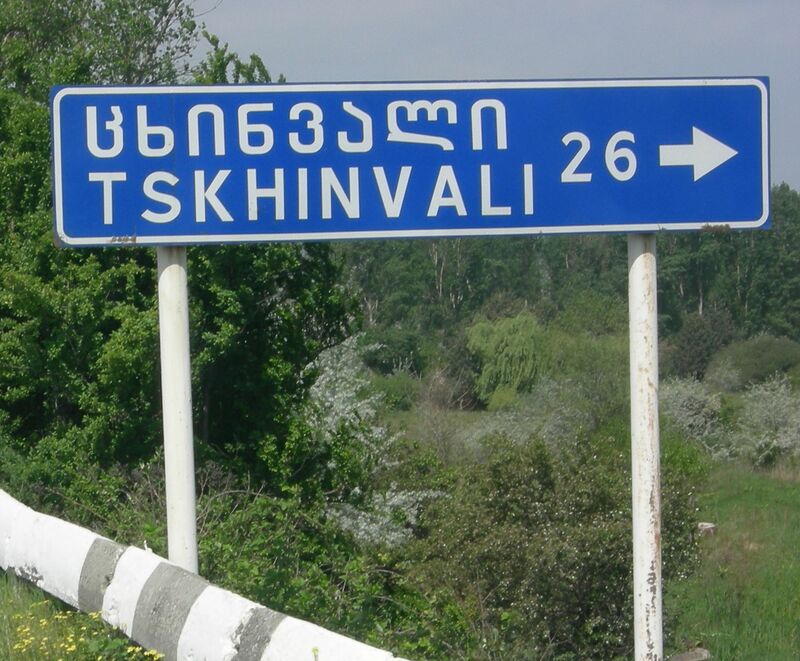 Although Tskhinvali is located only 110 kilometres north of the Georgian capital Tbilisi, the capital of the self-declared Republic of South Ossetia has, however, become somewhat inaccessible. The territory has been occupied by Russian forces since the 2008 conflict between Russia and Georgia, and South Ossetia, like Abkhazia, is now popularly defined as a post-Soviet frozen conflict zone (similar cases in the post-Soviet space include Nagorno-Karabakh and Transnistria). South Ossetia, unlike Abkhazia however, cannot be easily entered through border checkpoints from either Russia or Georgia, and is one of the most isolated areas in the region with strict travel restrictions to anyone not holding a Russian or South Ossetian passport. The club was disbanded after the fall of the Soviet Union and re-founded in 2006 as FC Tskhinvali. After their first season the club were granted automatic promotion to the Umaglesi Liga by the Georgian government under the Saakashvili administration, in order to symbolically demonstrate that Tskhinvali and South Ossetia were part of Georgian territory in what can be described as a footballing affirmative action program. The club’s fortunes changed once again when the simmering conflict in South Ossetia erupted into an open confrontation between Georgia and Russia in August 2008, and as a result Tamarasheni, located just outside Tskhinvali and the official home of Spartaki, was completely razed by the fighting that took place around Tskhinvali. The club, just like many Georgians who were living in South Ossetia, had to give up on a prospective return to Tskhinvali and were forced into permanent exile first in Gori and later the Georgian capital, Tbilisi. “Currently we have three Ossetians playing for our team; Anatoly Khubezhov – who is an under 19 candidate for Georgia, Alan Kadzhaev – his former club was Volga in Russia’s Premier league, and the keeper Soslan Naniev – he is a former Alania Vladikavkaz and Chernomorets Novorossiysk player”, explains Akhsar Sanakoev. These three players, meanwhile, have also been deeply affected by conflicts which took place in South Ossetia. Anatoly and Alan are originally from Tskhinvali, while Soslan was born in the wine-rich east Georgian region of Kakheti; his parents, however, were refugees who after the break-up of the Soviet Union and the 1991 conflict between Georgia and South Ossetia were forced to leave South Ossetia. They first moved to Vladikavkaz in Russia, as refugees before finally settling in Kakheti. Yet, as modern football evolves, the “ethnic” make-up of a squad now says very little of a club’s social and national identity. Even before the conflict many of the players were ethnic Georgians rather than Ossetians. Thus, it is not the players who make up the distinct Ossetian flavour of the club, but rather the people who watch and support the team; while for some the club has become a cultural gathering point in many ways similar to the current Azerbaijani champions Qarabag Agdam (See Futbolgrad’s article ‘Qarabag Agdam – the Displaced Champions of Azerbaijan‘). 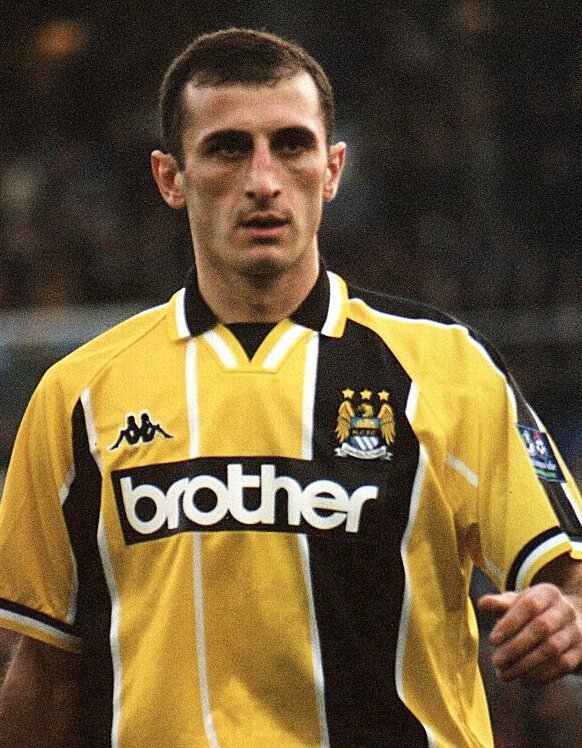 One man heavily involved is the former Manchester City defender Murtaz Shelia, who watches Spartaki games on a regular basis and who had also served as the president of the club from 2009-11. Dimitri Sanakoev, Akhsar’s father and the current president of the club and the “Head of the Provisional Administrative Entity of South Ossetia”, introduces us at half time. Shelia is a big man, much bigger than I had remembered him from English football nostalgia clips. When we are introduced, he shakes my hand and my impression is that Shelia is a man who has not only played football but has lived through great turmoil. His nose, obviously broken several times, and his ample grip reminds me of an able construction worker. His smile is skewed and full of mischief and we talk for a couple minutes about his time playing for Saarbrucken and Manchester City. The meeting was indeed one of the highlights of the match between Tskhinvali and Zugdidi – which finished in a lacklustre 1-1 draw – and ten minutes before the final whistle Shelia gets up to leave the stadium, directing a couple of insults at the level of play in Russian towards the field whilst exiting the ground. Akhsar and Dimitri direct smiles at me when I suggest Shelia was accustomed to better games when in Russia, Germany and England. Although Shelia is not an Ossetian himself he has won the Russian championship with Alania Vladikavkaz (the capital of North Ossetia) and according to Akhsar it was Shelia’s experience in North Ossetia that made him a sympathizer of Ossetia’s minority in Georgia. Shelia’s presence at the club is significant as his international reputation adds important political legitimacy to the club. Spartaki Tskhinvali: a Political Tool or a Georgian Football Reality? The club’s budget is indeed one hundred per cent funded by the Georgian government, something that under normal circumstances would oppose Akhsar’s statement that the club is just a normal member of the Umaglesi Liga. It would indeed be difficult to imagine that the club would have a fighting chance at all were it not without the prominent financial support of various ministries over the last eight years. I was later to learn that most clubs in Georgian football are dependent on governmental support. At the same time the original establishment of the club, and the “forced” promotion in 2006 goes back to government policies, which suggests the club could be regarded as a political tool used by policymakers in Tbilisi. The government has found a means to construct an eternal flame for both Georgians and Ossetians in Tbilisi by maintaining an Ossetian club in the Umaglesi Liga. 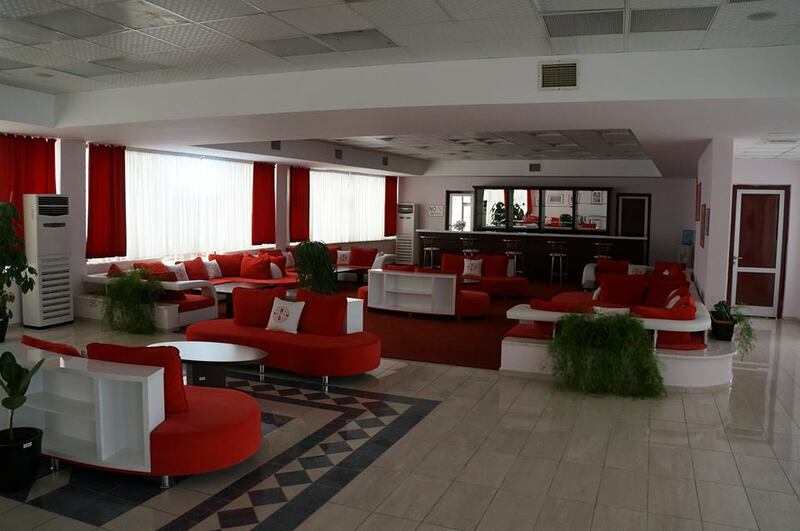 Indeed, as Akhsar and I discuss the level of Georgian football later in the VVIP lounge of the GFF, the level of play is pinpointed as one of the reasons of the Umaglesi Liga’s dwindling attendances. The other problem is fixed games, which affect most clubs in the league, and as Akhsar points out Spartaki have also received letters from UEFA, which have pointed out irregularities in betting on matches they were involved in. Since 2003 Georgia has made great strides towards combating corruption, but football is one of a few areas demonstrating that the country still has much work to do. The fact is that much is broken with Georgian football and without the financial help of the government the league would only consist of two clubs: WIT Georgia and Dinamo Tbilisi. When examining the situation of Georgian football it has to be noted that normality does not exist in the Umaglesi Liga, and that Spartaki are indeed just another normal club in a truly abnormal league. If football represents politics, then Tskhinvali’s role in Georgian football is significant in this regard. 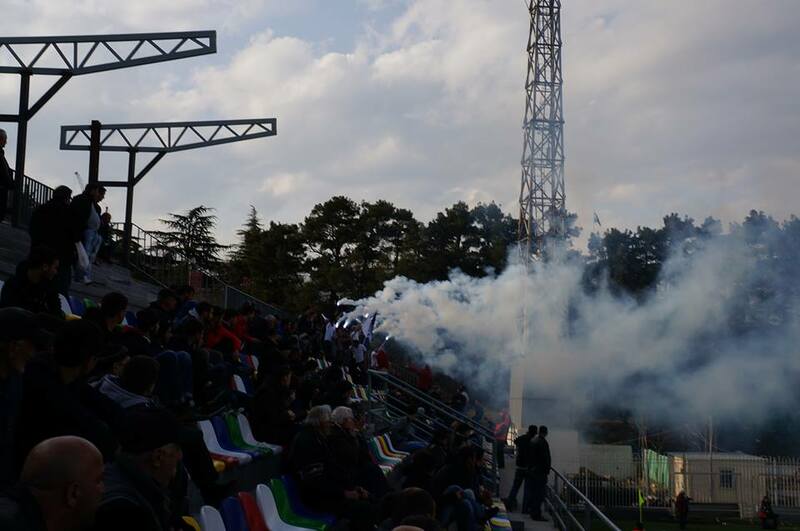 The club can be regarded as a political tool to remind Georgian football fans on a weekly basis about the simmering conflict revolving around what it sees as an occupied territory. Yet Spartaki Tskhinvali also highlights something quite positive. Even though the club has not played a real home game in more than seven years, and while many of the players are Georgian, the club represents the significant amount of Ossetians who still call Georgia their home, and as such the club is not purely memorial, but also a beacon of hope for some of future political rapprochement.